The following is from the Fair Trade Federation website. "Fair trade is a system that not only aims to pay fair wages, but also to support participatory workplaces; ensure environmental sustainability; supply financial and technical support; respect cultural identity, offer public accountability, and educate consumers about the choices that they can make in their regular shopping habits. Fair trade businesses foster long-term and direct relationships with producers in the developing world, because they know these connections are a highly effective way to help producers help themselves. Fair trade is not about charity; it uses a fair system of exchange to empower producers and to create sustainable development". This is a great definition of fair-trade and it accurately reflects what we do each day. 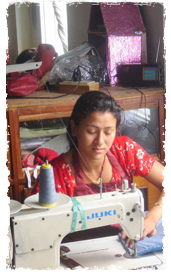 Running a fair trade business is very rewarding… not financially, but emotionally. I know we are improving the lives of many people in Nepal and India and we greatly appreciate your help and support. This section is also from the Fair Trade Federation website. 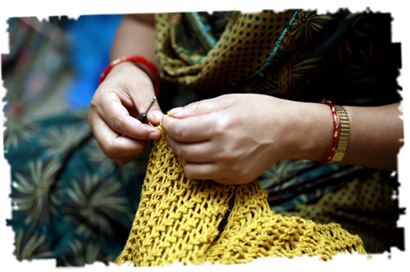 First and foremost, fair trade is about offering great products to the public. Consumers can choose fairly traded clothing, coffee, food, furniture, home décor, house wares, jewelry, tea, toys, personal accessories, and many other products. Second, fair trade is about keeping prices affordable for consumers while returning a higher amount of the producers. 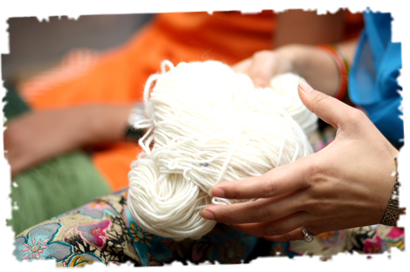 This relationship is made by possible, because fair trade retailers and wholesalers typically work directly with artisans and farmers, cutting out the middle men who increase the price at each level – enabling retail products to remain competitively priced in respect to their conventional counterparts, while fairly compensating producers. Finally, fair trade makes a tremendous impact on producer communities. Children’s school fees are paid, nutritional needs met, health care costs covered by producers themselves; the poor, especially women, are empowered; the environmental impact is mitigated; all of these benefits are possible, because fair trade approaches development as a holistic process. Is Earth Divas A Fair Trade Company? The most important thing is that we work directly with the people that make the items. We go to their homes where the items are made and we pay them directly. We help them select fabric and materials that are consistent in color and texture. We help them source buckles, snaps, rings, zippers and other closures that are difficult to find in Nepal. And we learn a great deal from them about what they can do and cannot do. We’ve also learned to go with the flow… we often receive product that is not up to our hopes of what it could look like. Sometimes some items look great and others don’t. We try to go through and pull the items that could have been better, and then we put these on sale with a note in the description…”This item does not match our quality standards” We have made incredible strides in the last 5 years in terms of quality. Each item is handmade and is a reflection of the person that makes it. They have such pride in what they do and they love when I provide customer feedback about how great our products are. They also take it very personally when things are not as good as they could be. But it is really a neat feeling to see the level of improvement in each shipment, or with each new design. We have come a long way since we started and things will only get better. Is Earth Divas certified fair trade? Yes. In December of 2011 we were approved for membership in the Fair Trade Federation, FairTradeFederation.org. This is a fantastic organization that we are very proud and excited to be a member of. Now that we are members, our focus is on what we can do to be a great member of this organization. We'll use our blog, earthdivasblog.com to post updates on the organization and what we are doing to promote fair trade and sustainable fashion. 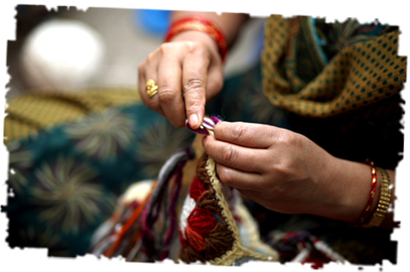 If you have some time, please take a minute to visit their website and ideally support their members through your purchases, and by telling your friends and family about the fair trade movement. We also hope you'll check out our blog, and we'd love if you could leave a comment for us or follow up on facebook. It's a great way to keep in touch. If you would like more information about our products or how they are made, please email us at info@EarthDivas.com. We will be more than happy to answer any questions or provide additional information. In 2011 we will hopefully be able to update the website with all financial information. We think complete transparency is critical to running a fair-trade company and I’m very hopeful that we’ll get all this info up on the website. Thank You! !